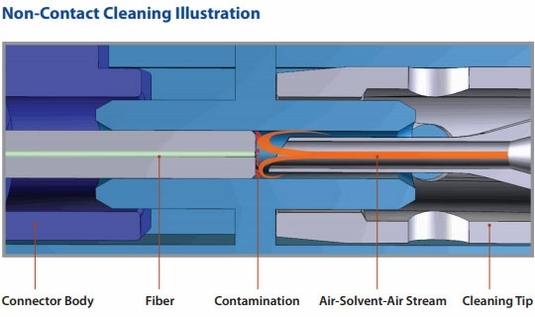 The patented CleanBlast fiber end face cleaning systems provide a fast, effective, and cost-efficient solution for removing dirt and debris from connectors in most common applications. CleanBlast is a non-contact system that uses a highly filtered stream of pressurized gas with a vacuum circuit to create a high flow rate jet across the surface of the fiber. A 30-µl cleaning solvent is injected into the airflow, and the contamination from the end face along with the solvent are then removed through the retrieval circuit. The precise, highly efficient non-contact air-solvent-air stream blasts and removes contamination with nearly 100-percent effectiveness. 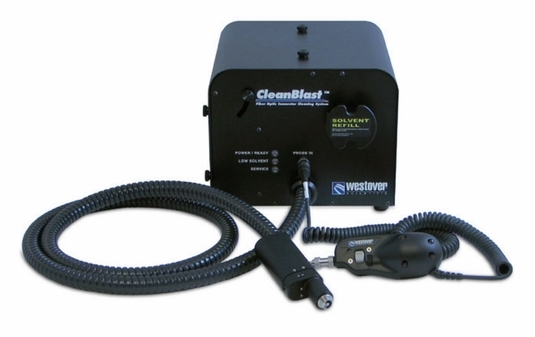 The bench-top CleanBlast systems include a base unit and a handset connected to a 5-ft umbilical for reaching various application areas. Precision cleaning tips are available for both male (patch cord) and female (bulkhead) connectors for various connector types, including SC, LC, FC, ST, E2000, MPO, MPX, MT, and SMA. All models include an input port for a separate probe microscope for fiber inspection capabilities, and a video output for connecting to an external monitor or to a mounted liquid crystal display (LCD). Digital systems feature an additional universal serial bus (USB) output for viewing the fiber image on a PC/laptop. The system's cleaning solvent reservoir holds enough solution for at least 8,000 cleaning cycles. 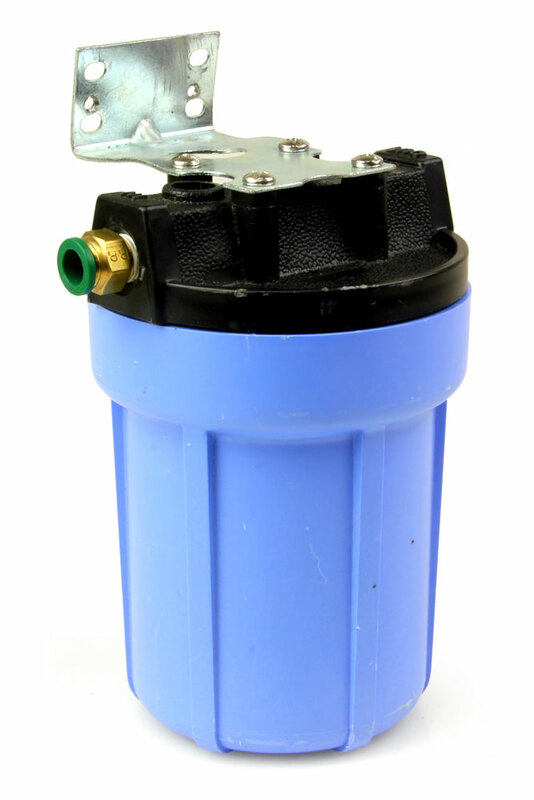 The solvent refill process is simple and spill-resistant. A built-in safety feature prevents the handset from accidentally triggering the system. It also monitors solvent levels and the safety switch, and it features a series of light emitting diodes (LEDs) to indicate system status.